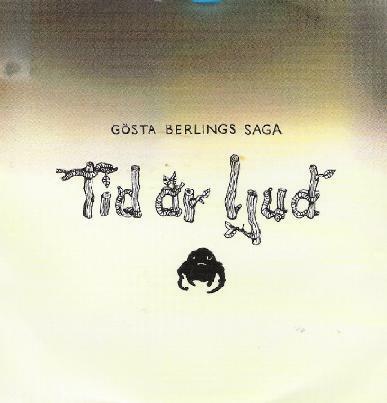 Gösta Berlings Saga - "Tid är Ljud"
Gösta Berlings Saga are an all instrumental, four-piece progressive rock band from Sweden. And when I say "progressive", in mean in the 1970's sense. There's nothing modern sounding about the music, which isn't necessarily a bad thing. It's not totally my thing these days, I admit, but I still found myself enjoying the album's many charms. Bands like Genesis and Yes are, I suppose, touchstone influences, with moments of Crimson like angularity and Floydian atmosphere thrown in as well, but the band bypasses the excesses of some of their forebears. The tracks are all under 10-minutes in length, but with enough complexity to keep any prog rock fan happy. Their style is briskly paced, but breezy. All the members play seemingly effortlessly, and unpretentiously too, forgoing the need to show off with over the top soloing. It's also nice to hear the Fender Rhodes taking such a prominent role in the music as well. This great vintage instrument has such a wonderful sound and it's captured in all its analog glory on every track, along with drums, bass, guitar, flute, violin and synths. What Gösta Berlings Saga reminded me more of was the early music of the great Italian prog band Premiata Forneria Marconi. It's not prog that's going to trip your head out, but it is still a joy to listen to. And if you crave that vintage sound, you will especially love it. For more information you can visit the Gösta Berlings Saga web site: http://www.gostaberlingssaga.se. Hear music samples at their Myspace page at: http://www.myspace.com/gostaberlingssaga. Visit the Transubstans Records web site at: http://www.recordheaven.net.